Pianist Danny Grissett decided to name his fifth Criss Cross recording The In-Between to evoke the experience of flying back and forth between New York, where he is a first-call sideman for, among others, Jeremy Pelt and Tom Harrell, and Vienna, Austria, where he has lived with his wife and small son for several years. 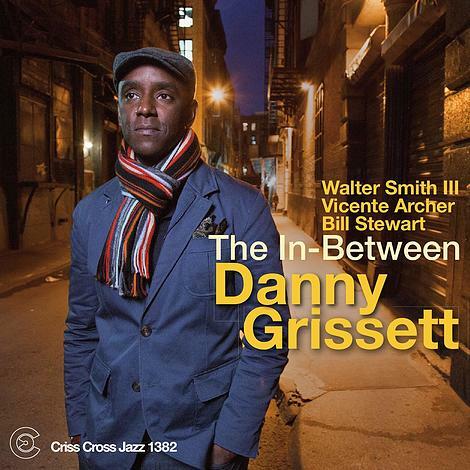 Joined by tenor saxophonist Walter Smith, an acquaintance since both attended the Thelonious Monk Institute in the early aughts, bassist Vicente Archer, a partner of long-standing, and great drummer Bill Stewart, Grissett offers a mix of five originals, four personalized standards, and a lovely ballad by his wife. Throughout the proceedings, he plays with the understated authority and melodic thrust that have garnered him an ever-increasing fan base.